Take a trip through history with our beautiful guide to the golden age of Universal monster movies. A Pictorial History of Universal Monsters Volume One: The Twenties and Thirties is a breathtaking chronicle of horror cinema’s early years. 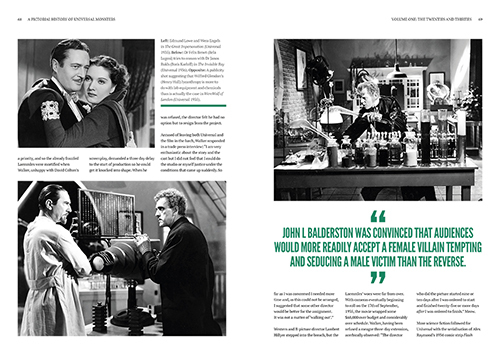 In a stunning new publication, Classic Monsters celebrate the pioneering artistry of the golden age of Hollywood horror. 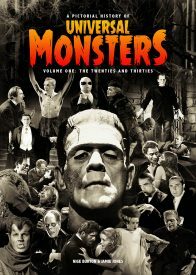 With A Pictorial History of Universal Monsters Volume One: The Twenties and Thirties, authors Nige Burton and Jamie Jones explore the golden age monster films you love, examining each production on its own merits and as part of the wider story told by Universal’s horror movie output. Each lovingly written chapter is packed with information to capture the essence of the horror movies that played such a role in cinema history. 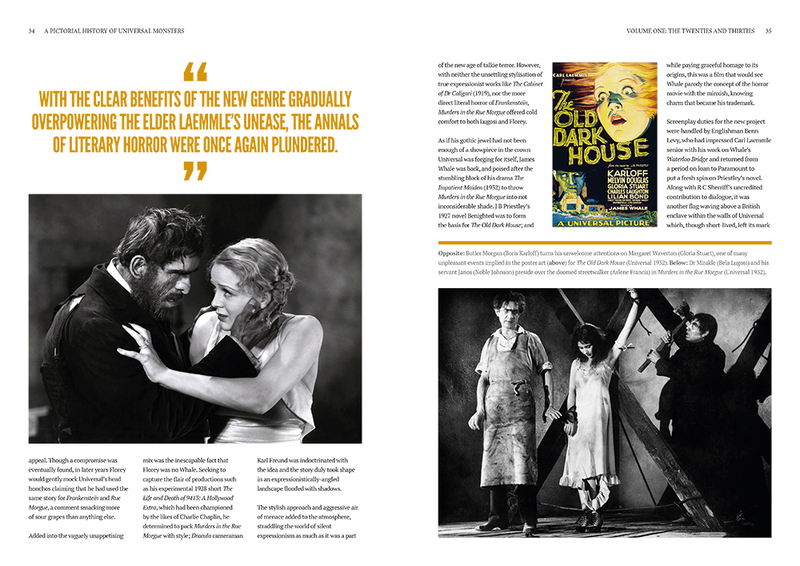 This first instalment of our upcoming series of horror movie compendium guides is designed and printed in vibrant full colour, packed with stills, posters and artwork printed to crystal clarity. Even black and white images are given a richness and depth that you won’t find elsewhere, thanks to our exacting attention to detail and exhaustive restoration work. 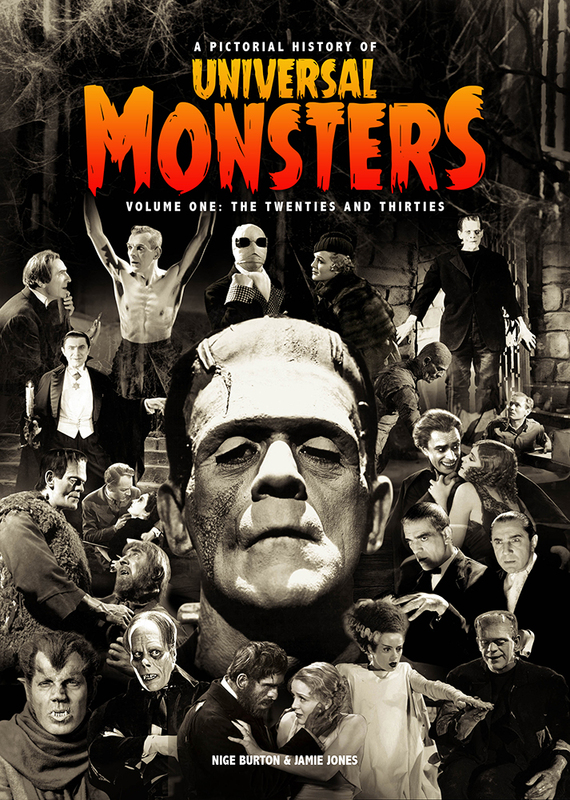 From your favourite golden age classics, to the smaller-name pieces of art you might not know so well, this Universal horror movie guide is a glorious tribute to the work of a studio who not only gave horror fans so much, but actually created those fans too. 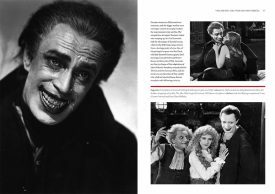 This unique publication is perfect square bound, with a matt laminated cover featuring shimmering gloss highlights, to the same specification as our show-stopping Bela Lugosi biography. WOW!! 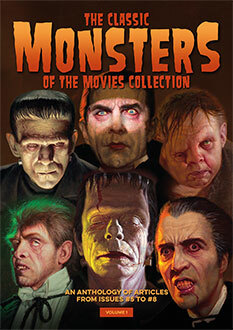 A huge Universal Monsters Vol 1 came through the letterbox. Clearly very busy once again much to the delight of horror movie addicts such as myself. In an age of CGI it’s good to be reminded of John P. Fulton, which you do. As ever an informative text and you never fail to surprise an old hand like me with ‘new’ photos when you thought you had seen them all. It’s such a pity that Laemmle Jr seemed to spend the latter half of his life as a lonely recluse passing away in obscurity. It’s magazines such as you produce that really does keep the memory alive.